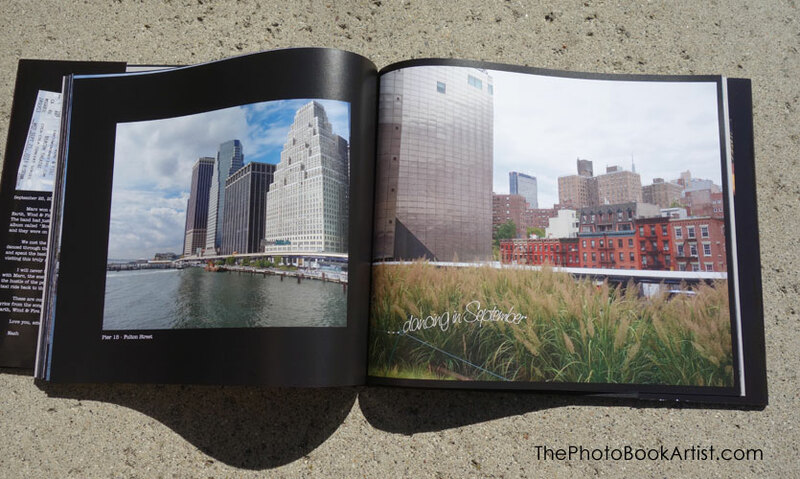 My Valentine's photo book brings me back to 24 hours spent with my husband in New York City. We had won a trip for two to see Earth, Wind & Fire playing at the historic Beacon Theatre. We met the band backstage, danced through the entire concert, and spent an amazing 24 hours visiting this truly amazing city. While we were there we visited the National September 11 Memorial & Museum. This was the site of terrible loss and heartbreak and I was touched. But in an instant I knew that "love was here to stay...", it most certainly was. The title of this photo book was inspired by the name of the band's latest album, "Now, Then & Forever". Since our trip had taken place in September I weaved lyrics from their song "September" across the pages and photos.